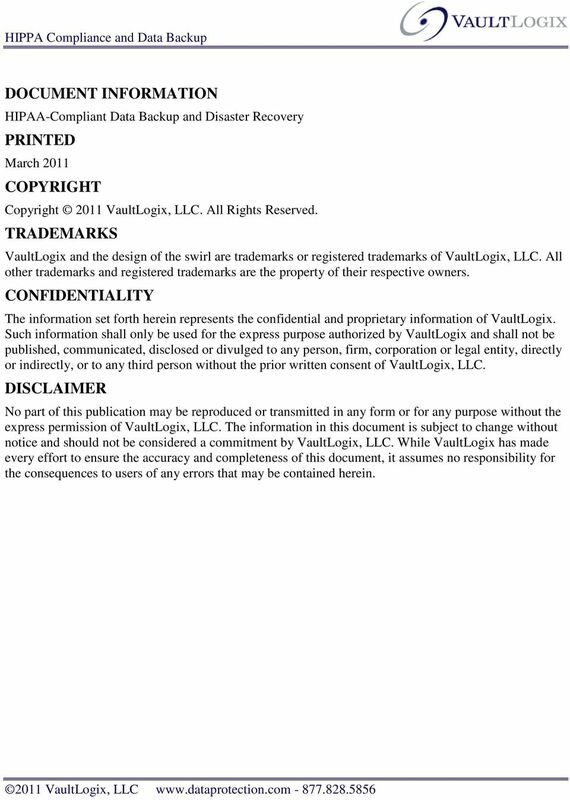 Download "WHITE PAPER. 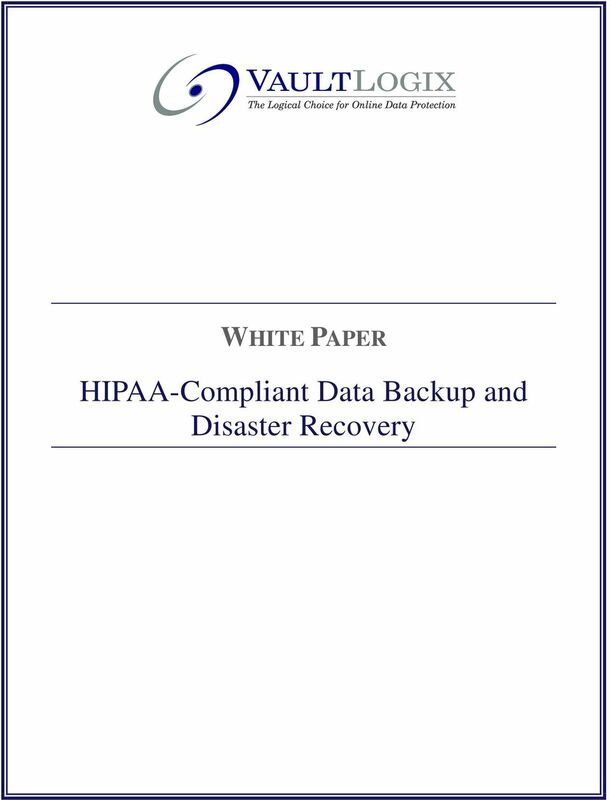 HIPAA-Compliant Data Backup and Disaster Recovery"
C.T. 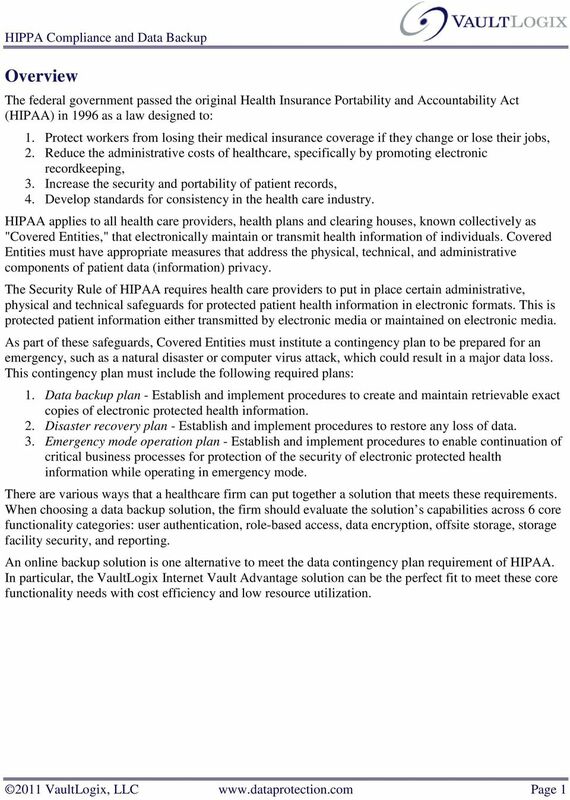 Hellmuth & Associates, Inc.
Technical Monograph C.T. 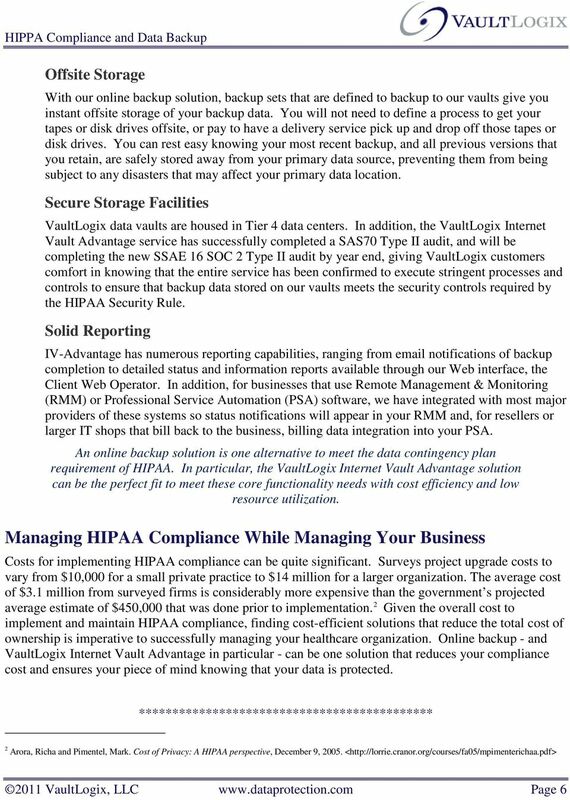 Hellmuth & Associates, Inc. Technical Monographs usually are limited to only one subject which is treated in considerably more depth than is possible in our Executive Newsletter. 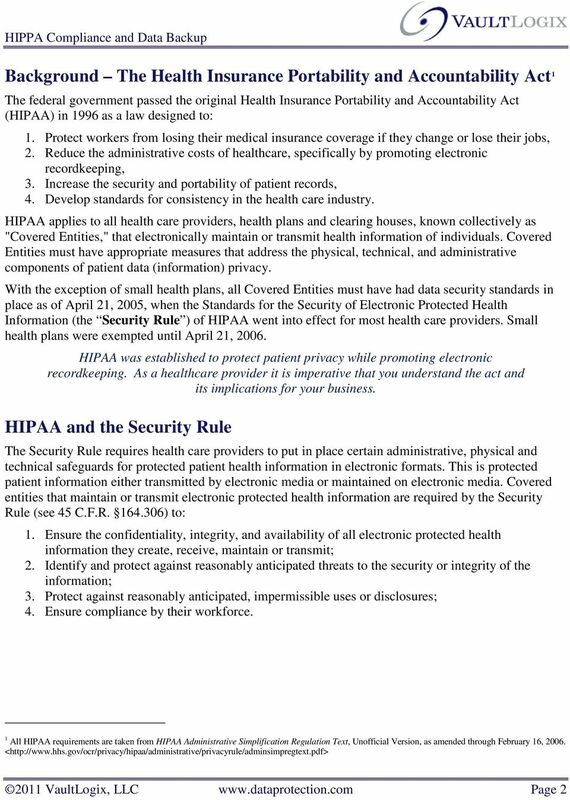 SAMPLE HIPAA/HITECH POLICIES AND PROCEDURES MANUAL FOR THE SECURITY OF ELECTRONIC PROTECTED HEALTH INFORMATION Please Note: 1. THIS IS NOT A ONE-SIZE-FITS-ALL OR A FILL-IN-THE BLANK COMPLIANCE PROGRAM. 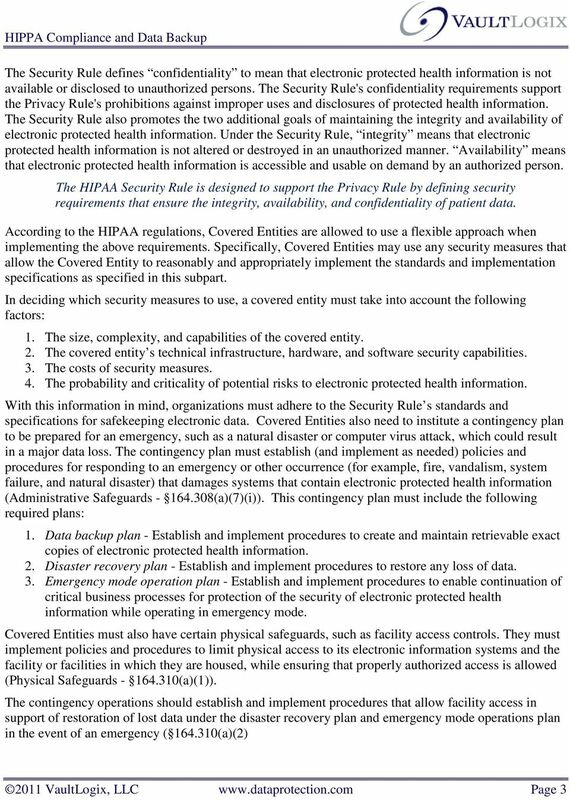 HIPAA: In Plain English Material derived from a presentation by Kris K. Hughes, Esq. Posted with permission from the author. 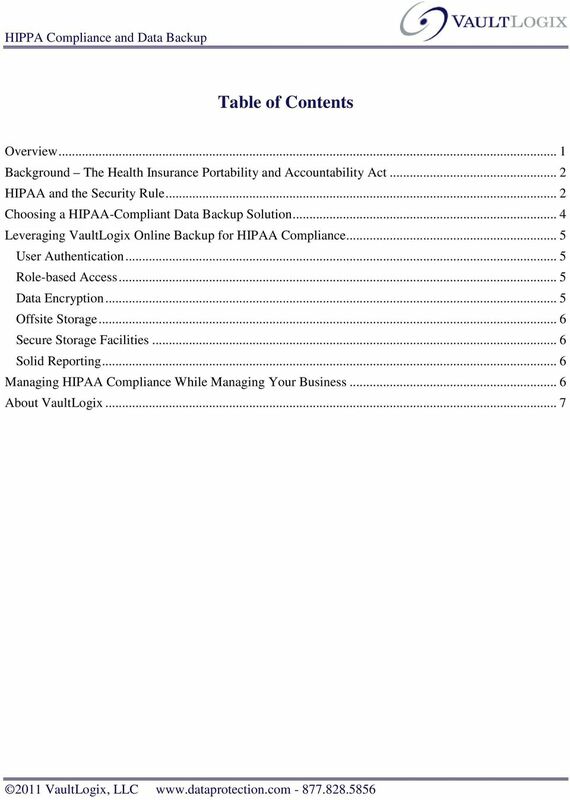 The Health Insurance Portability and Accountability Act of 1996 (HIPAA), Pub. 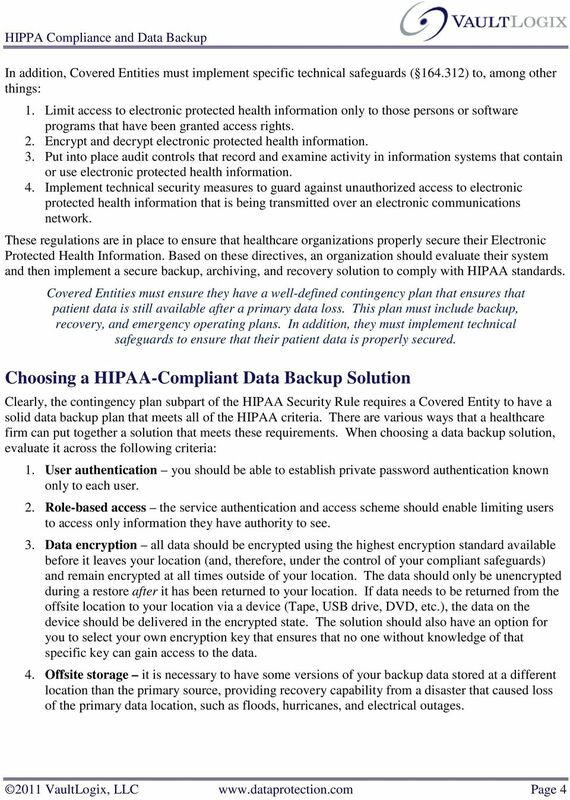 HIPAA Compliance: Are you prepared for the new regulatory changes? 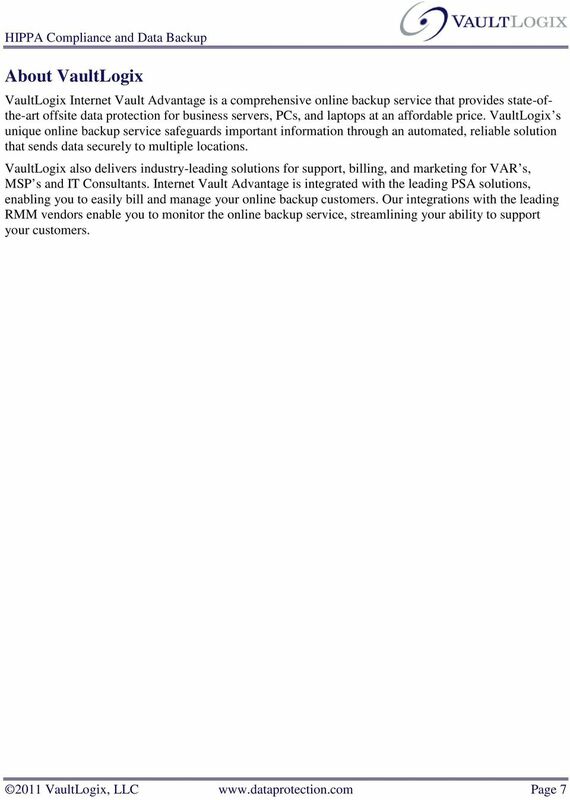 WHITE PAPER REPORT: How Remote Data Backups, Inc. 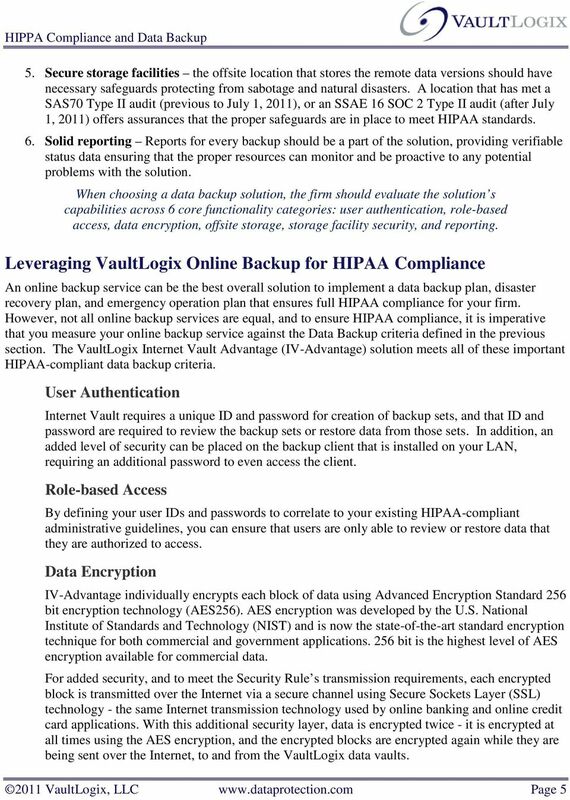 Helps Health Care Providers become HIPAA Compliant Use our secure, automatic, offsite backup service to comply with HIPAA s Privacy and Security Rules.